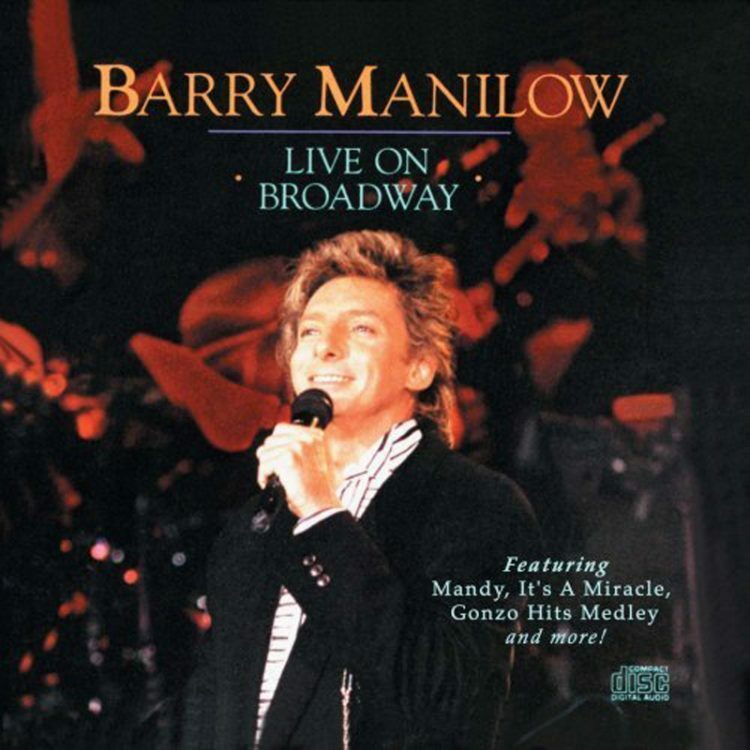 Barry Manilow Live on Broadway is the culmination of a two-and-a-half year world tour seen by more than 1-1/2 million people. If you’re one of those million, you know why you bought this album. If not, you’re in for an inspiring experience. As two of those who helped Barry put this show together, we’ve seen and heard it uncountable times. You’d think we’d be tired of it, and him. In fact, we’re amazed how it’s grown and how Barry has grown on us. Going in, we were prepared for his total musicality. As we’ve spent more and more time with him, as a performer and as a friend, we’ve discovered his honesty, his spontaneity, and his compassion for others, his way of making it all seem effortless. Of course, it isn’t effortless. He has an absolute obsession to make whatever he does better. He’s a compulsive crazy perfectionist and we love him for it. It’s quite a story: the story of a man who overcame the slums of Brooklyn, the broken home, the missing father, the failed marriage and, along the way, some of the worst reviews in the world, by holding on to his dream. Through it, he makes us feel that if he can do it, so can we all. We once asked Barry why he thought he was here on earth. He answered: “To learn how to love.” In his willingness to learn, he’s become a good teacher. We’ll always be grateful.